The University of Oxford's nominee on the Managing committee was David Binning Monro (1836-1905), Provost of Oriel College (from 1882). On his death the nominee was Professor Percy Gardner (1846-1937) who held the Lincoln and Merton chair in Classical Archaeology (from 1887). Gardner had served on the original Managing Committee when he held the Disney chair of archaeology in Cambridge. Professor Henry Francis Pelham (1846-1907) was the Camden Professor Ancient History (from 1889). 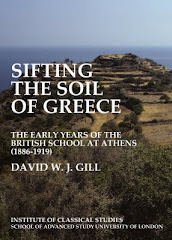 Pelham's interest was in the work of the Asia Minor Exploration Fund though he supported the work of the School (and was later to be influential in the foundation of the British School at Rome). Professor (Sir) John Linton Myres (1869-1954) had been a student at the BSA (1892-95) alongside a fellowship at Magdalen College (1892-95). He returned to Oxford as a Student of Christ Church (1895-1907) and university lecturer in Classical Archaeology. After a time as professor in Liverpool (1907-10) Myres returned to Oxford as the Wykeham professor of Ancient History (1910-39). (Sir) Arthur John Evans (1851-1941) had been appointed Keeper of the Ashmolean Museum in 1884. He had initiated the work at Knossos and was a key figure in the Cretan Exploration Fund. Francis John Haverfield (1860-1919) senior student and tutor at Christ Church. In 1907 he was elected Camden Professor of Ancient History. David George Hogarth (1862-1927) had been the first Oxford student at the BSA (1886/87). 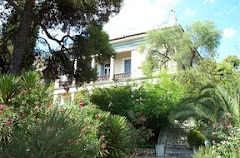 He had subsequently been Director of the BSA (1897-1900) and had worked with the Cretan Exploration Fund. In 1908 succeeded Evans as Keeepr of the Ashmolean Museum. Marcus Niebuhr Tod (1878-1974) was a student at the BSA (1901/02) and then Assistant Director (1902-04). He was elected a fellow of Oriel College in 1903 (though was allowed to remain in Greece) and became tutor in ancient history in 1905. 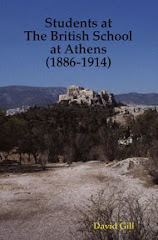 In 1907 he was appointed university lecturer in Greek Epigraphy.